We’re hitting the home stretch of the Mira Vista project. 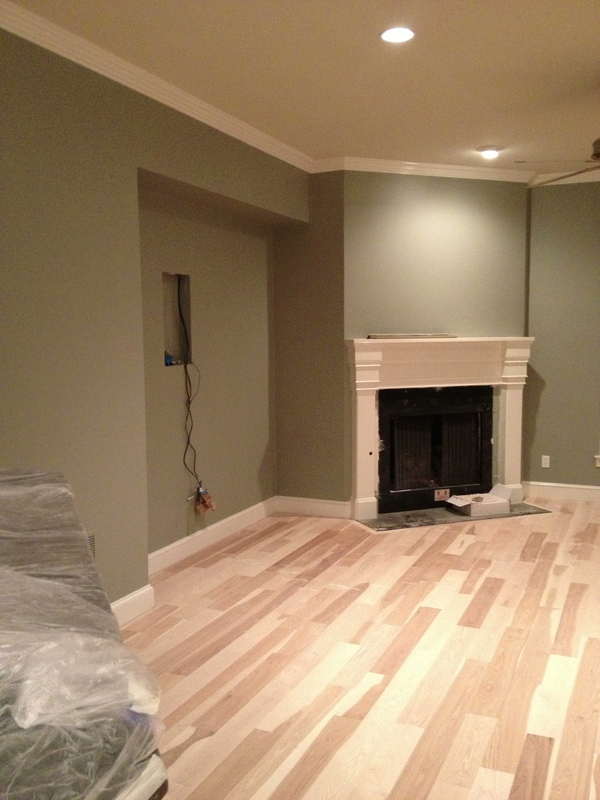 The walls are painted, kitchen counters installed, family room fireplace woodwork finished, and hardwood floors… well, the hardwood floors have been an ordeal all in themselves. 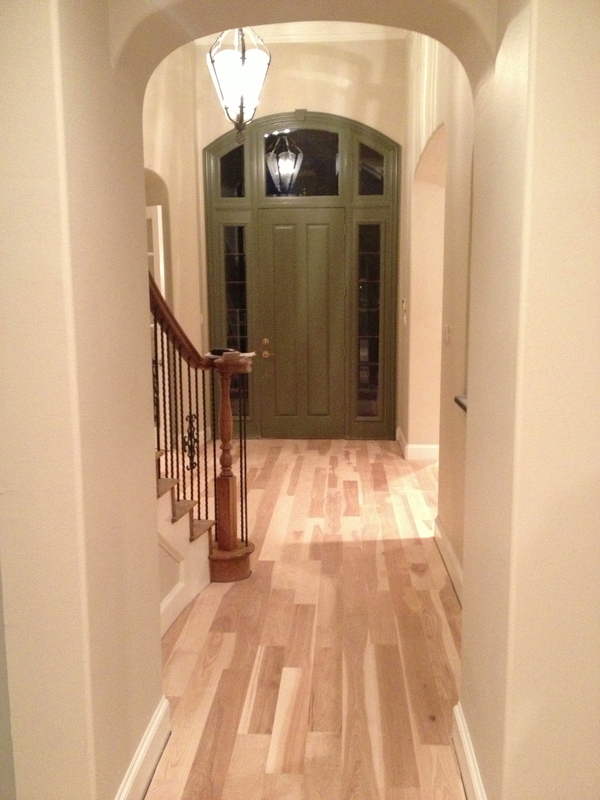 We originally opted to use engineered hardwood (both for durability and ease of installation). We found a sample that was just the right color – a rich, medium brown (not too dark) that beautifully offset the interior finishes – especially the existing kitchen cabinets (which remained unchanged). We were all in agreement. It was perfect! My client was smart enough to purchase just a single box of the hardwood before committing to the entire downstairs. It’s a good thing that they did! When we received said box, the hardwood inside was two shades lighter, grainy, and just terrible looking – nothing like the sample we had loved. We have a winner (and a HUGE sigh of relief from myself and my client)! 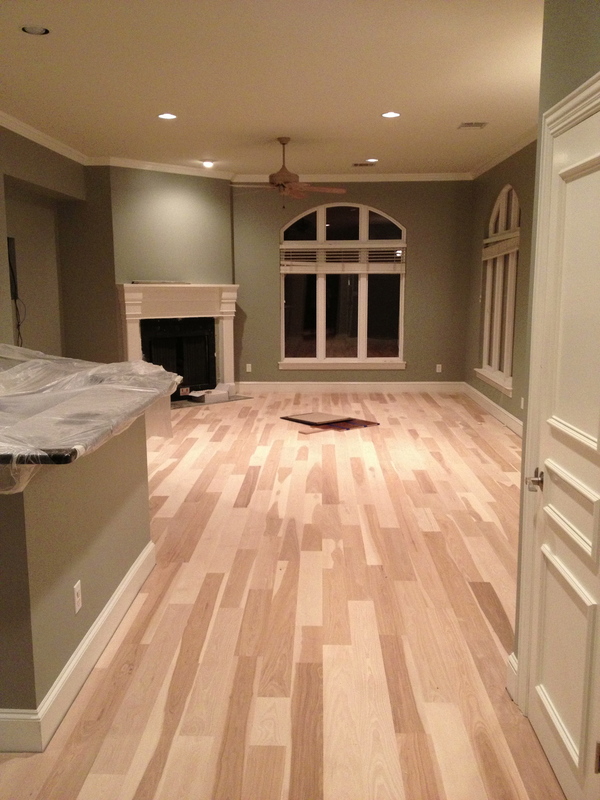 Now the raw hardwoods are installed and we begin staining today! Even though this whole mess has been a crazy fiasco, the moral is that we needed to work until it was right. My clients will be living with this hardwood for a long time, and it’s important that they don’t walk on it every day saying, “I wish the color was just a little different”. I want them to love it every day! and finding an amazing carpet showpiece for the staircase. Wow! I love the wall colour, it’s very ‘on trend’ right now. Many designers on TV use that shade. Thanks so much! It looks really fantastic in person. I can’t wait to have all the other interior pieces in place and show you guys the finished product. Wow, the floors are amazing! They brighten up the room and have such great flow from front entry to living room. Great job!